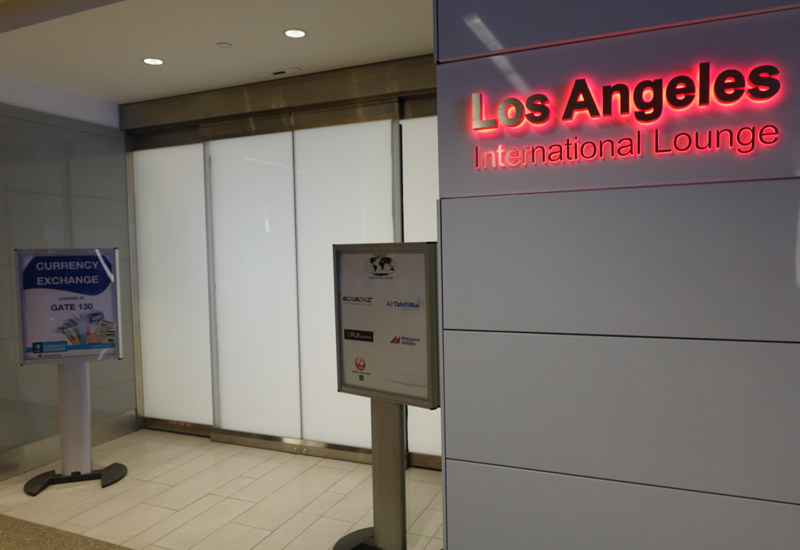 The Los Angeles International Lounge at LAX is a contract lounge located airside after security, on the 6th floor. Follow signs to the elevator, then pass the (nicer) Star Alliance Lounge and go down a long hallway overlooking the terminal until you get to the small entrance. 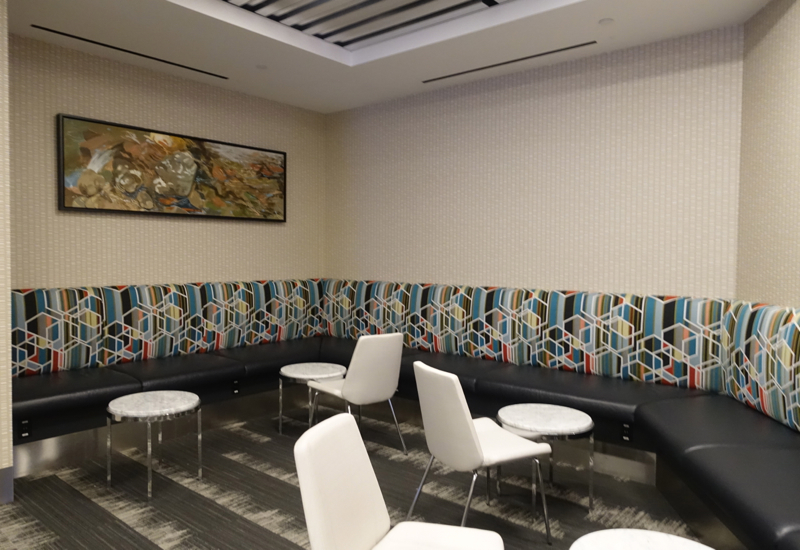 At the time of our visit, the lounge sign indicated that in addition to Air Tahiti Nui, Fiji Airways, Philippine Airlines, El Al and JAL also use the lounge for their premium class passengers. 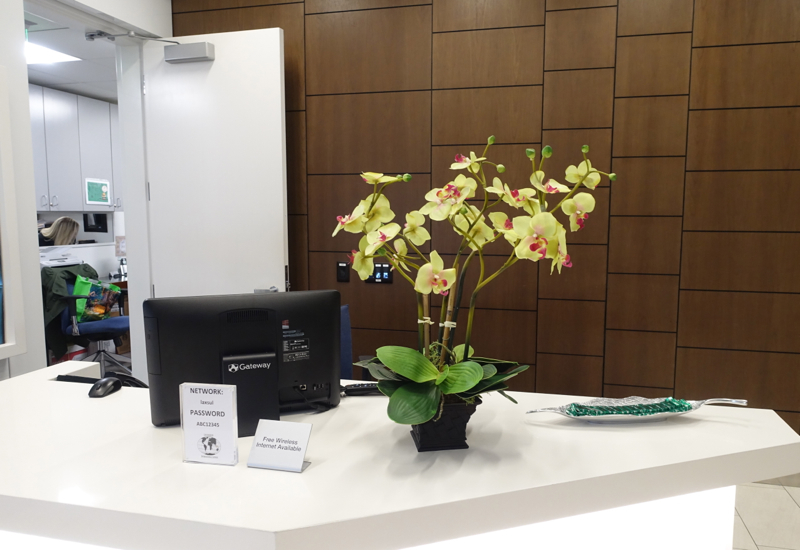 After presenting our lounge invitation to the friendly attendant, we were invited to enter and use the lounge. 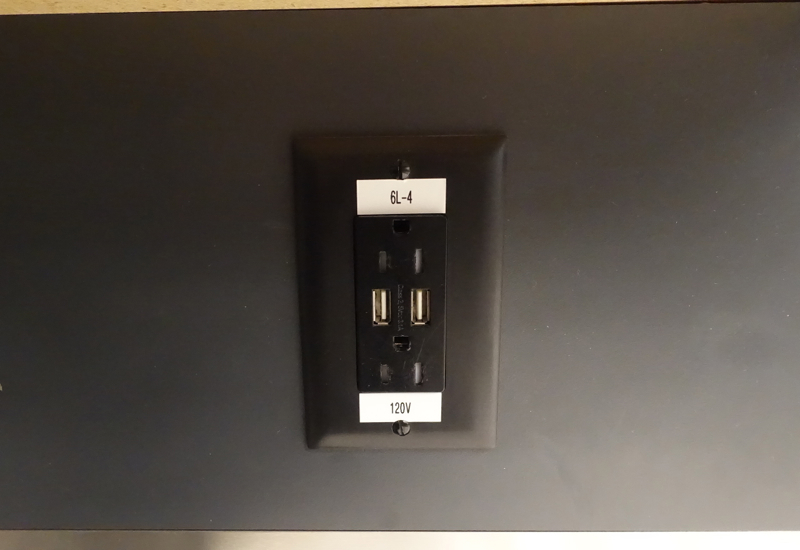 There were some Andes mints on the right that took me back to my childhood, before I knew what really good chocolate tasted like. 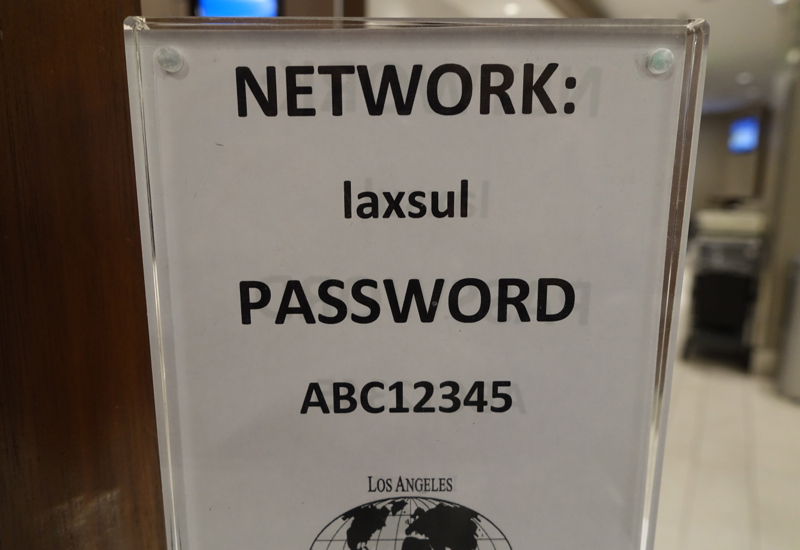 The WiFi network and password were also displayed on placards throughout the lounge, not just at reception, and the speed was fine for my purposes of checking email and uploading some small files. 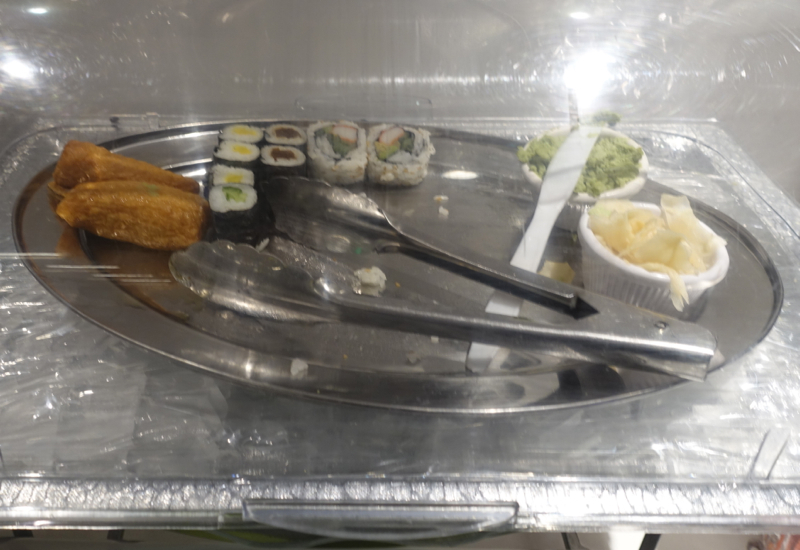 But the few pieces we were able to sample were good and tasted quite fresh. 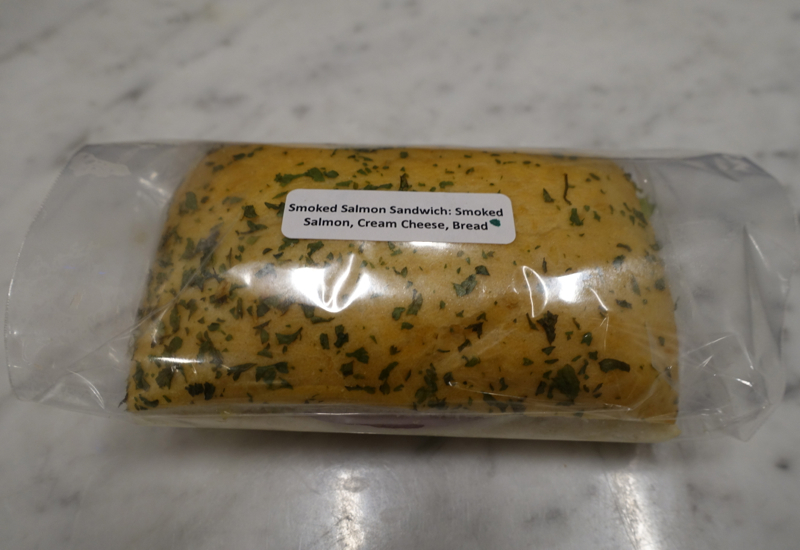 There were also sandwiches in a refrigerated case, such as this smoked salmon sandwich, although it was decidedly mediocre. 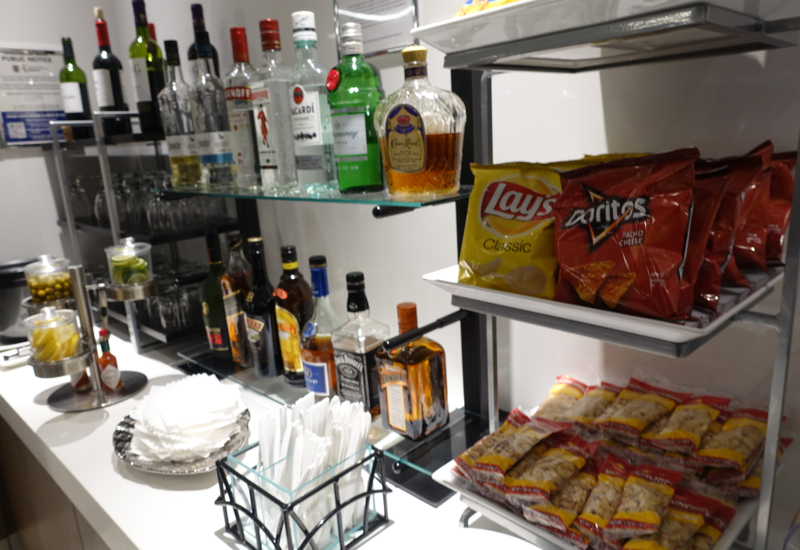 Other snacks included cereal, Oreo cookies, granola bars, and Doritos and other chips by the bar. 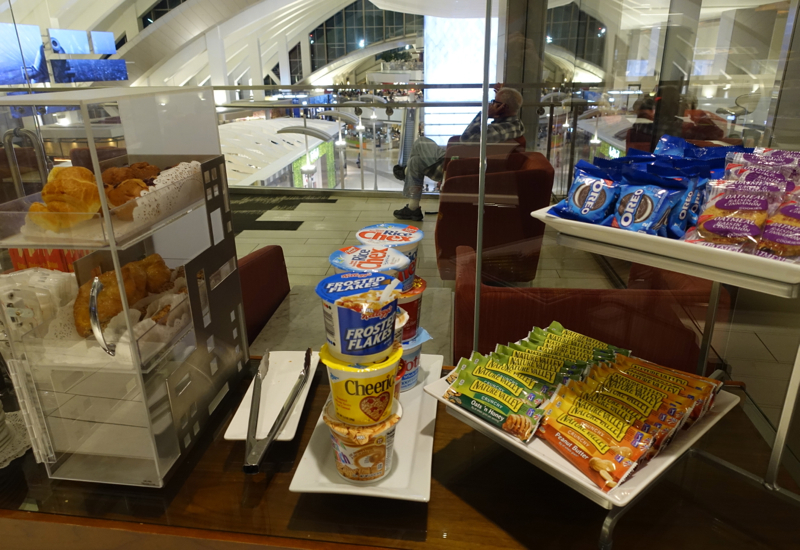 Not exactly the stuff you want to be eating or drinking to feel healthy while traveling. 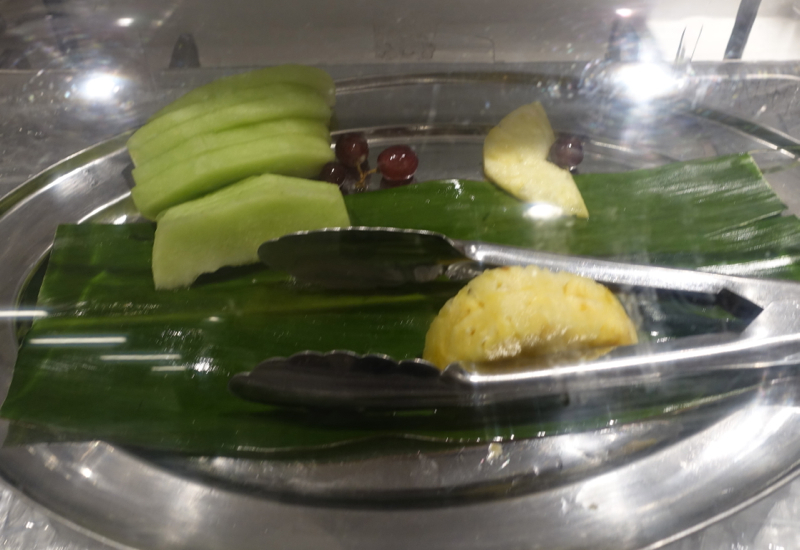 If you’re flying Air Tahiti Nui, Fiji Airways, El Al or Philippine Airlines, hopefully your expectations are modest, even if flying business class, since none of them are exactly cutting edge airlines when it comes to premium service. 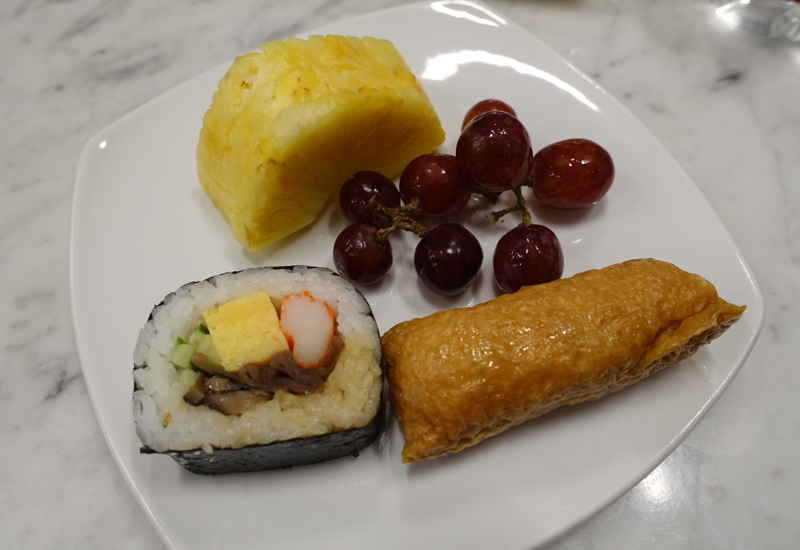 That JAL uses the Los Angeles International Lounge is a little more surprising, as it does have great first class and business class products. 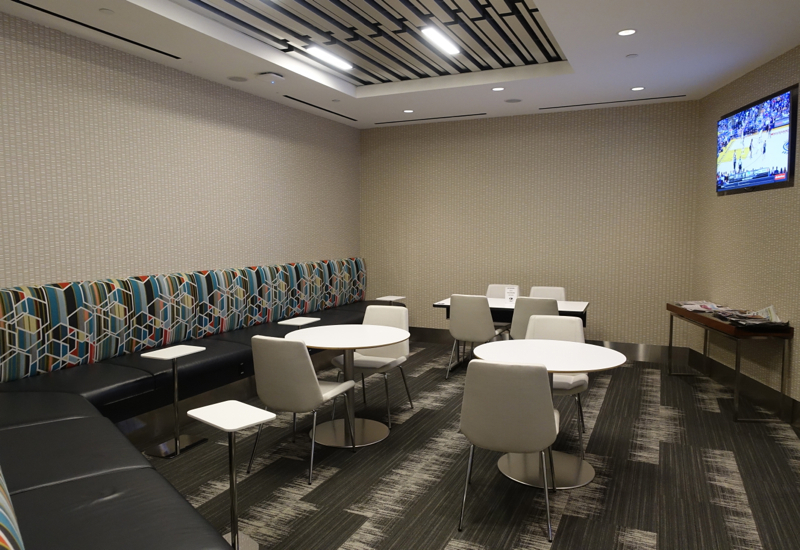 The Los Angeles International Lounge is exactly what you’d expect from a contract lounge: a more relaxed place to wait, power outlets and WiFi to get work done, a fairly well-stocked bar, and some basic food options to stave off hunger until you board the flight. 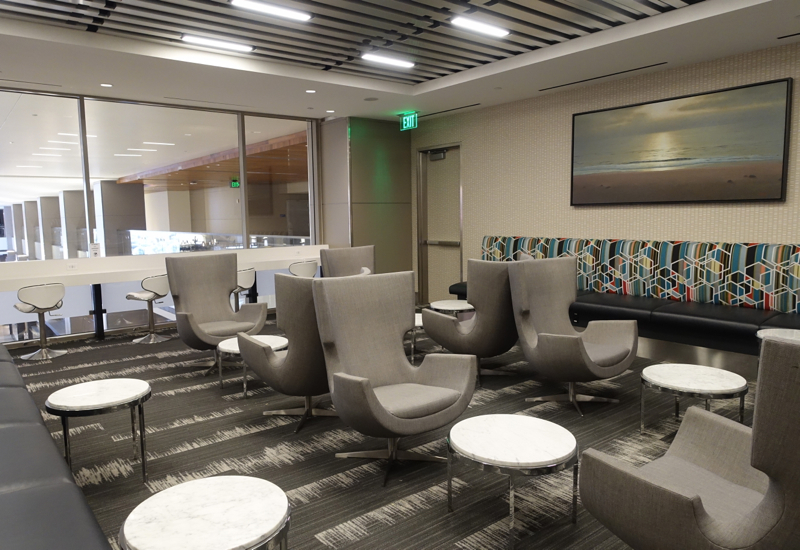 But if you're a oneworld Emerald elite and have access to the Qantas First Class Lounge at LAX, say before a JAL or other oneworld marketed and operated flight, definitely go there instead. 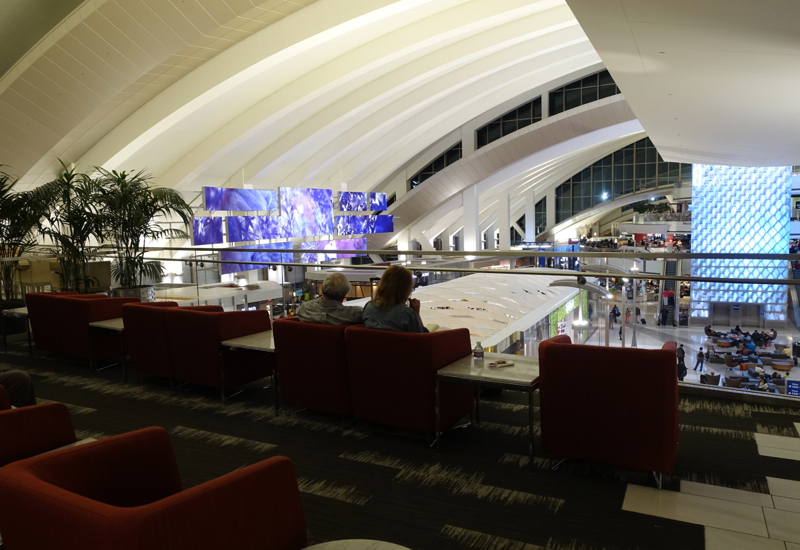 If you've visited the Los Angeles International Lounge at LAX, what was your experience?